These guidance notes have been prepared by the CPTU to assist a Procuring Entity in the preparation, using this Standard Tender Document (STD), for the procurement of Works and Physical services having estimated cost up to Tk 20 million. The Procuring Entity should also refer to the Public Procurement Act 2006 (Act No 24 of 2006) and the Public Procurement Rules, 2008, issued to supplement the Act available on CPTU’s website: http://www.cptu.gov.bd/. All concerned are advised to refer to the aforementioned Act and Rules while participating in any Tendering process. The use of STD (PW2) applies when a Procuring Entity intends to select a Tenderer (a Contractor) for the Procurement of Works and physical services under Limited Tendering Method (LTM) and Open Tendering Method (OTM) while the contract award is being determined on the basis of lowest evaluated responsive Tender. STD (PW2) is intended as a model for admeasurements contracts (unit prices or unit rates in a Bill of Quantities) and the main text refers to admeasurements Contracts. Guidance notes in brackets and italics are provided for both the Procuring Entity and the Tenderer and as such the Procuring Entity should carefully decide what notes need to remain and what other guidance notes might be required to assist the Tenderer in preparing its Tender Submission; so as to minimise the inept Tendering Process. 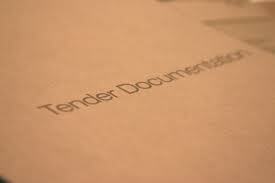 The Invitation for Tenders (IFT) is provided in this Tender Document for information only. STD (PW2) has 9 Sections, of which Section 1: Instruction to Tenderer and Section 3: General Conditions of Contract must not be altered or modified under any circumstances. The following briefly describes the Sections of STD (PW2) and how a Procuring Entity should use these when preparing a particular Tender Document. The Instruction to Tenderer (ITT) specifies the instructions and procedures that govern the tendering process. This Section also contains the criteria to be used by the Procuring Entity to determine the lowest evaluated Tender and the qualifications of the Tenderer to perform the Contract. The Instructions to Tenderer (ITT) are therefore not a part of the Contract. The Procuring Entity shall specify in the TDS only the information that the ITT instructs to be specified in the TDS. To facilitate the preparation of the TDS, its Clause Numbers are numbered with the same numbers of the corresponding ITT Clauses. This Section provides the General Conditions of Contract that will apply to the Contract for which the Tender document is issued. This Section provides clauses specific to the particular Contract that modify or supplement Section 3: General Conditions of Contract. The Procuring Entity should include at the time of issuing the Tender Documents all information that the GCC indicate, shall be provided in the PCC. Its Clause Numbers are numbered with the same numbers of the corresponding GCC Clauses. This Section provides the standard format for the Tender Submission Letter, (Form PW2-1), Tenderer Information (Form PW2-2) and Bank Guarantee for Tender Security (Form PW2-3), if any to be submitted by the Tenderer. This Section also contains the form of the Notification of Award (Form PW2-4) and the Contract Agreement (Form PW2-5) and the forms for Bank Guarantee for Performance Security (Form PW2-6). This Section provides the items and estimated quantities of Works to be performed and must be carefully prepared by a Procuring Entity for each object of procurement. This Section provides the General Specifications that describe the Works and Associated Services to be procured. This Section provides further details as to precise requirements not included in the General Specifications, or which modify or clarify the General Specifications for the particular Works and Associated Services to be procured. This Section contains any Drawings that supplement the General and Particular Specifications for the Works and Associated Services to be procured. 1.1 The Procuring Entity, as indicated in the Tender Data Sheet (TDS) issues this Tender Document for the procurement of Works and associated Services incidental thereto as specified in the TDS and as detailed in Section 6: Bill of Quantities. The name of the Tender and the number and identification of its constituent lot(s) are stated in the TDS. (c) that neither it’s any officer nor any staff or any other agents or intermediaries working on its behalf engages in any practice as detailed in the Rule 127. (c) declare, at its discretion, the concerned Tenderer to be ineligible to participate in further Procurement proceedings, either indefinitely or for a specific period of time. 3.1 If so specified in TDS, only Enlisted Tenderers of the categories specified in the TDSare eligible to participate in the Tender under Limited Tendering Method. 3.2 In case of Open Tendering Method, invitation for Tenders is open to all potential Tenderers. 3.3 The Tenderer shall have the legal capacity to enter into the Contract. 3.4 Tenderers and all parties constituting the Tenderer shall not have a conflict of interest pursuant to Rule 55 of the Public Procurement Rules, 2008. 3.5 The Tenderer in its own name or its other names or also in the case of its Persons in different names, shall not be under a declaration of ineligibility for corrupt, fraudulent, collusive or coercive practices as stated under ITT Clause 2 . 3.6 The Tenderer is solvent, e.g. the Tenderer is financially capable to perform the contract for the proposed Procurement. 3.7 The Tenderer shall have fulfilled its obligations to pay taxes under the provisions of laws and regulations of Bangladesh. 4.1 A prospective Tenderer requiring any clarification of the Tender Document shall contact the Procuring Entity in writing at the Procuring Entity’s address indicated in the TDS before two-third of time allowed for preparation and submission of Tender elapses. 5.1 At any time prior to the deadline for submission of Tenders, the Procuring Entity on its own initiative or in response to a clarification request in writing from a Tenderer, may revise the Tender Document by issuing an addendum pursuant to Rule 95 of the Public Procurement Rules, 2008. 6.1 Tenderer to be qualified by meeting predefined, precise minimum requirements, which entails setting pass/fail criteria, which if not met by the Tenderer, will be considered as non-responsive. 6.2 To qualify for a multiple number of lots in a package for which Tenders are invited in the invitationfor Tenders, the Tenderers shall demonstrate having resource and experience sufficient to meet the aggregate of the qualifying criteria for individual lots. 7.1 The Tenderer shall have the construction experience of satisfactory completion of similar works of a minimum value under a single or multiple numbers of contracts over a period, as specified in the TDS. (b) availability of minimum liquid assets or working capital or credit facilities from a Bank, as specified in the TDS. 9.1 The successful Tenderer shall under no circumstances assign the Works or any part of it to the Subcontractor(s). 11.1 The Tender shall be written in the English language. Correspondences and documents relating to the Tender may be written in English or Bangla. (j) any other document as specified in the TDS. 13.1 The Tenderer shall fill in unit rates or prices for all items of the Works both in figures and in words as described in the BOQ. The price to be quoted in the Tender Submission Letter shall be the total price of the Tender. 13.2 All applicable taxes, custom duties, VAT and other levies payable by the Contractor under the Contract shall be included in the unit rates, prices and the total Tender price submitted by the Tenderer. 13.3 The items quantified in the BOQ for which no unit rates or prices have been quoted by the Tenderer will not be paid for, by the Procuring Entity when executed and shall be deemed covered by the amounts of other rates or prices in the BOQ and, it shall not be a reason to change the Tender price. 13.4 The price of a Contract shall be fixed in which case the unit rates or prices may not be modified in response to changes in economic or commercial conditions. 14.1 The Tenderer shall quote all prices in the Tender Submission Letter and in the Bill of Quantities in Bangladesh Taka. 15.1 Tenderers shall complete and submit the Tenderer Information (Form PW2-2) and shall include documentary evidence, as applicable to satisfy the following:(a) details of specific experience in construction works of similar nature and size on case-by-case procurement proceedings performed for each of the last years along with the sums, dates and recipients; public or private as stated under ITT clause 7. (e) authority to seek references from the Tenderer’s bankers or any other sources. 16.1 Tenders shall remain valid for the period specified in the TDS after the date of Tender submission deadline prescribed by the Procuring Entity. 16.2 A Tender valid for a period shorter than that specified shall be considered as non-responsive. 17.1 Tender Security as specified is TDS. 18.1 The Tender Security shall be at the Tenderer’s option, be either in the form of a bank draft or pay order. 18.2 The Tender Security may be in the form of an irrevocable bank guarantee issued by a scheduled Bank of Bangladesh, in the format (Form PW2-3) furnished in Section 5: Tender and Contract Forms. 18.3 The Tender Security shall remain valid for at least twenty eight (28) days beyond the expiry date of the Tender Validity. 18.4 Tender not accompanied by a valid Tender Security shall be considered as non-responsive. 20.1 The Tenderer shall prepare one (1) original of the documents comprising the Tender as described in ITT Clause 12 and clearly mark it “ORIGINAL.” In addition, the Tenderer shall prepare one (1) copy of the tender, and clearly mark “COPY.” In the event of any discrepancy between the original and the copy, the ORIGINAL shall prevail. 21.1 Tenders shall be delivered by hand or by mail, including courier services at the address(s) as specified in the TDS and no later than the date and time specified in the TDS. Late submissions will not be considered. 22.1 A Tenderer may modify, substitute or withdraw its Tender after it has been submitted by sending a written notice duly signed by the authorized signatory and properly sealed, and shall include a copy of the authorization; provided that such written notice including the affidavit is received by the Procuring Entity prior to the deadline for submission of Tenders as stated under ITT Clause 21. 23.1 The Tenderer shall not be allowed to retrieve its original Tender, but shall be allowed to submit corresponding modification to its original Tender marked as “MODIFIFICATION”. 24.1 The Tenderer shall not be allowed to retrieve its original Tender, but shall be allowed to submit another Tender marked as “SUBSTITUTION”. 25.1 The Tenderer shall be allowed to withdraw its Tender by a Letter of Withdrawal marked as “WITHDRAWAL”. 26.1 Tenders shall be opened pursuant to Rule 97 following steps in Part D of Schedule IV of the Public Procurement Rules, 2008. 26.2 Tenders shall be opened immediately after the deadline for submission of Tenders at the primary place as specified in the TDS but no later than ONE HOUR after expiry of the submission deadline at the same primary place. (d) Post-qualification of the lowest evaluated responsive Tender. (b) verification of the Trade License. (e) verification of that the written authorisation confirming the signatory of the Tenderer to commit the Tender has been attached with the Tender Submission Letter (Form PW2-1). 28.2 The TEC shall confirm that the above documents and information have been provided in the Tender and the completeness of the documents and compliance of instructions given in corresponding ITT Clauses shall be verified, failing which the tender shall be considered as non-responsive. 29.2 Secondly, the TEC will examine the adequacy and authenticity of the documentary evidence as stated under ITT Clause 15. 29.3 The TEC will further examine the terms and conditions specified in Section 7: General Specifications and Section 8: Particular Specifications. 29.4 If after the examination, TEC determines that the Tender has complied the terms and conditions and the technical aspects, set out in ITT Sub Clause 29.2 & 29.3, it shall be considered responsive. 30.1 The TEC may ask Tenderers for clarifications of their Tenders, including breakdowns of unit rates, in order to assist the examination and evaluation of the Tenders. 30.2 If the lowest Evaluated Tender is not balanced or is front loaded in the opinion of the TEC, the TEC may require the Tenderer to produce detailed breakdown of unit price or rates for any or all items of the BOQ, to demonstrate the internal consistency of those prices with the construction methods and schedule proposed. 30.3 If a Tenderer does not provide clarifications of its Tender by the date and time set in the TEC’s written request for clarification, its Tender shall not be considered in the evaluation. 31.1 The TEC shall correct any arithmetic errors that are discovered during the examination of Tenders, and shall promptly notify the concerned Tenderer(s) of any such correction(s) pursuant to Rule 98(11) of the Public Procurement Rule, 2008. 31.2 Any Tenderer that does not accept the correction of the Tender amount following correction of arithmetic errors as determined by the application of ITT Sub-Clause 31.1 shall be considered as non-responsive. 32.1 Thirdly the TEC, pursuant to Rule 98 of the Public Procurement Rules, 2008, will evaluate each Tender that has been determined, up to this stage of the evaluation, to be responsive to the mandatory requirements set out in the Tender Document. (b) adjustments for correction of arithmetical errors pursuant to ITT Clause 31 . 33.1 The TEC will compare all responsive Tenders to determine the lowest-evaluated Tender, in accordance with ITT Clause 32. 34.1 No negotiations shall be held during the Tender evaluation or award with the lowest or any other Tenderer pursuant to Rule 99 of the Public Procurement Rules, 2008. 35.1 After determining the lowest evaluated responsive Tender in accordance with ITT Clause 33, the Procuring Entity’s TEC pursuant to Rule 100 of the Public Procurement Rules, 2008, shall carry out the Post-qualification of the Tenderer, using only the requirements specified in Sub-section C: Qualification Criteria. 36.1 Prior to the expiry of the Tender Validity period and within seven (7) working days of receipt of the approval of the award by the Approving Authority, the Procuring Entity pursuant to Rule 36(4) (a) and 102 of the Public Procurement Rules, 2008, shall issue the Notification of Award (NOA) to the successful Tenderer. 37.1 The Performance Security shall be provided by the successful Tenderer in the amount as specified in the TDS. 37.3 The Performance Security shall be in the form of a Bank draft, pay order or an irrevocable Bank Guarantee in the format (Form PW2-6), issued by any scheduled bank of Bangladesh acceptable to the Procuring Entity. 37.4 The Procuring Entity may increase the amount of the Performance Security above the amounts as stated under ITT Sub Clause 37.1 pursuant to Rule 27(2) & Rule 98(13) of the Public Procurement Rules, 2008 but not exceeding twenty (20) percent of the Contract price, if it is found that the Tender is unbalanced and/or front loaded as stated under ITT Sub-Clause 30.2. 38.1 The Performance Security shall be required to be valid until a date twenty eight (28) days beyond the Intended Completion Date as specified in Tender Document. 39.1 The Procuring Entity shall verify the authenticity of the Performance Security submitted by the successful Tenderer by sending a written request to the branch of the bank issuing the Pay Order, Bank Draft or irrevocable Bank Guarantee in specified format. 40.1 Within fourteen (14) working days of issuance of the NOA, the successful Tenderer and the Procuring Entity shall sign the contract provided that the Performance Security submitted by the Tenderer is found to be genuine. 41.1 Any Tenderer has the right to complain if it has suffered or likely to suffer loss or damage due to a failure of a duty imposed on the Procuring Entity to fulfil its obligations in accordance with Section 29 of the Public Procurement Act 2006 and Part 12 of Chapter Three of the Public Procurement Rules, 2008. .
ITT 3.1 Only Enlisted Tenders of the categories [state the categories] are eligible. ITT 7.1 A satisfactory completion of similar works of at least Tk [insert amount] under [state number] of contract(s) over a period of [state number] years shall be required. ITT 8.1(a) The required average annual construction turnover shall be greater than Tk [insert amount] over the last [state number] years. Required average annual construction turn over: Tk 12 lakh, using a multiplier of 0.5. [usually the required liquid asset is the equivalent of 2-6 months payment flow at the average construction rate (straight line distribution), accessible or available after taking into account the financial requirements of existing commitments. The actual period will depend on the speed with which the Procuring Entity will pay the Contractor’s monthly certificate, allowing time to prepare an invoice, for the Project Manager’s time to certify it, and at least one month contingency for preparing the cheque and making actual payment. ITT 16.1 The Tender Validity period shall be [state number] days. ITT37.1 The amount of Performance Security shall be [state percentage] percent of the Contract Price. (a) Act means The Public Procurement Act, 2006 (Act 24 of 2006). (b) Approving Authority means the authority which, in accordance with the Delegation of Financial Powers, approves the award of contract. (c) Bill of Quantities (BOQ) means the priced and completed Bill of Quantities forming part of the Contract defined in GCC Clause 21. (d) Contractor means the Person under contract with the Procuring Entity for the execution of Works under the Rules and the Act as stated in the PCC. (e) Completion Date is the actual date of completion of the Works and Physical services certified by the Project Manager, in accordance with GCC Clause 31 & 32. (f) Day means calendar day unless otherwise specified as working days. (g) Defect is any part of the work not completed in accordance with the Contract. (h) Equipment is the Contractor’s apparatus, machinery, vehicles and other things required for the execution and completion of the Works and remedying any defects excluding Temporary Works and the Procuring Entity’s Equipment (if any ), Plant, Materials and any other things to form or forming part of the Permanent Works. (i) Force Majeure means an event or situation beyond the control of the Contractor that is not foreseeable, is unavoidable, and its origins not due to negligence or lack of care on the part of the Contractor; such events may include, but not be limited to, acts of the Government in its sovereign capacity, wars or revolutions, fires, floods, epidemics, quarantine restrictions, and freight embargoes. (k) GCC means the General Conditions of Contract. (l) Government means the Government of the People’s Republic of Bangladesh. (n) Materials means things of all kinds other than Plant intended to form or forming part of the Permanent Works, including the supply-only materials, if any, to be supplied by the Contractor under the Contract. (o) Month means calendar month. (p) Original Contract Price is the Contract Price stated in the Procuring Entity’s Notification of Award and further clearly determined in the Contract. (q) Permanent works means the permanent works to be executed by the Contractor under the Contract. (r) PCC means the Particular Conditions of Contract. (s) Plant means the apparatus, machinery and other equipment intended to form or forming part of the Permanent Works, including vehicles purchased for the Procuring Entity and relating to the construction of the Works and Physical services. (t) Procuring Entity means a Procuring Entity having administrative and financial powers to undertake procurement of Works and Physical services using public funds and is as named in the PCC who employs the Contractor to carry out the Works. (u) Project Manager is the person named in the PCC or any other competent person appointed by the Procuring Entity and notified to the Contractor who is responsible for supervising the execution and completion of the Works and Physical services and administering the Contract. (v) Site means the places where the Permanent Works are to be executed including storage and working areas and to which Plant and Materials are to be delivered, and any other places as may be specified in the PCC as forming part of the Site. (w) Site Investigation Reports are those that were included in the Tender Document and are factual and interpretative reports about the surface and subsurface conditions at the Site. (x) Specification means the Specification of the Works included in the Contract and any modifications or additions to the specifications made or approved by the Project Manager in accordance with the Contract. (y) Temporary Works means all temporary works of every kind other than Contractor’s Equipment required on the Site for the execution and completion of the Permanent Works and remedying of any defects. (z) Variation means any change to the Works directly procured from the original Contractor under some specific conditions and circumstances following approved procedures, which is instructed as a Variation under GCC Clause 23 by the Project Manager that varies the Works. (aa) Works means all works associated with the construction, reconstruction, site preparation, demolition, repair, maintenance or renovation of railways, roads, highways, or a building, an infrastructure or structure or an installation or any construction work relating to excavation, installation of equipment and materials, decoration, as well as physical services ancillary to works as detailed in the PCC, if the value of those services does not exceed that of the Works themselves. (bb) Writing means communication written by hand or machine duly signed and includes properly authenticated messages by facsimile or electronic mail. (j) any other document listed in the PCC forming part of the Contract. 4.1 The Contractor shall be a Bangladsehi national. 5.1 The Procuring Entity shall give possession of the to the Contractor on the date stated in the PCC. 6.1 The Procuring Entity shall pay the Contractor, in consideration of the satisfactory progress of execution and completion of the Works and Physical services, and the remedying of defects therein, the Contract price or such other sum as may become payable under the provisions of the Contract at the times and in the manner prescribed by the Contract Agreement. 7.1 The Contractor shall execute and complete the Works and remedy any defects therein in conformity in all respects with the provisions of the Contract Agreement. 8.1 The Contractor shall be entirely responsible for all taxes, duties, fees, and other such levies imposed inside and outside Bangladesh. 9.1 If the Project Manager asks the Contractor to remove a particular person who is a member of the Contractor’s staff or work force from the Site, he or she shall state the reasons, and the Contractor shall ensure that the person leaves the Site within three (3) days and has no further connection with the work in the Contract. 10.1 Start Date is the date defined in the PCC and it is the last date when the Contractor shall commence execution of the Works under the Contract. 11.1 Intended Completion Date is the date calculated from the start Date as specified in the PCC, on which it is intended that the Contractor shall complete the Works and Physical services as specified in the Contract and may be revised only by the Project Manager by issuing an extension of time. 12.1 Within the time stated in the PCC, the Contractor shall submit to the Project Manager, for approval a Programme showing the general methods, arrangements, order, and timing for all the activities in the Works. 13.1 The Contractor shall be entitled to an extension of the Intended Completion Date, if and to the extent that completion of the Works or any part thereof is or will be delayed by Compensation Events or a Variation Order. 13.3 In the case an extension of the Intended Completion Date required more than twenty (20) percent of the original Contract time, approval of the Head of the Procuring Entity for the same shall be required to be obtained. 14.1 The Contractor shall construct, install and carry out the Works and Physical services in accordance with the Specifications and Drawings as scheduled in GCC Clause 3. 15.1 The Project Manager shall check the works executed by the Contractor and notify the Contractor of any Defects found. 16.1 The Contractor shall carry out routine Tests of materials and works based on the progress of works to ensure the quality of completed works in accordance with standard methods determined by the Project Manager. 16.2 If the Project Manager instructs the Contractor to carry out a test not specified in the Specification to check whether any work has a Defect and the test shows that it does, the Contractor shall pay for the test and any samples. 17.1 If, as a result of an examination, inspection, measurement or testing, of Works it is found to be defective or otherwise not in accordance with the Contract, the Project Manager may reject the Works by giving notice to the Contractor, with reasons. The Contractor shall then promptly make good the defect and ensure that the rejected Works subsequently complies with the Contract. (c) execute any work which is urgently required for the safety of the Works, whether because of an accident, unforeseeable event or otherwise. 19.1 The Project Manager shall issue a Defects Liability Schedule for correction of Defects within thirty (30) days from the Contractor’s request for Final Payment stating the scope of corrections or additions that are necessary. 19.2 The Project Manager shall give notice to the Contractor, with a copy to the Procuring Entity and others concerned, of any Defects before the end of the Defects Liability Period, which begins at Completion Date, and is defined in the PCC. The Defects Liability Period shall be extended for as long as Defects remain to be corrected. 20.1 The Contract price shall be agreed or determined based on that the Contractor shall pay all taxes, duties and fees required to be paid by him or her under the Contract pursuant to GCC Clause 8.120.2 The contract Price shall be specified in the PCC. (b) the method of measurement shall be in accordance with the BOQ. 21.2 Items of works quantified in the BOQ for which no rates or prices have been quoted shall be deemed covered by the amounts at rates and prices of other items in the Contract and shall not be separately paid for. provided that; the cost resulting from such increase or decrease in quantity of this particular item in the Bill of Quantities multiplied by its specified rate or price is exceeded by one (1) percent of the original Contract price. 22.2 The new rate or price for the particular item of work included in the Bill of Quantities described under GCC Sub Clause 22.1 shall be derived by the Project Manager from any relevant rates or prices within the Contract by taking into consideration the context and threshold of the Variation Order as stated under GCC Clause 23. 23.1 The Procuring Entity may issue a Variation Order for Procurement of Works and Physical services in favour of the original Contractor to cover any increase or decrease in quantities, including the introduction of new work items that are either due to change of plans, design or alignment to suit actual field conditions, within the general scope and physical boundaries of this Contract. (f) changes to the sequence or timing of execution of the Works. 23.3 The Contractor shall, under no circumstances, proceed to commence the works under any Variation Order unless it has been approved by the Approving Authority. 24.1 The Contractor shall submit a quotation for carrying out the Variation within 7 (seven) days of being requested by the Project Manager. 24.2 If the items of works under Variation Order are exactly the same or similar to those in the Bill of Quantities of the original Contract, the applicable unit rates or prices of those work items in the Bill of Quantities of the original Contract shall be used for costing of those additional work items. (iii) the direct cost of the new work items based on (i) and (ii) above shall then be combined with the mark-up factor (i.e. taxes, overheads and profit) used by the Contractor in his or her Tender to determine the unit rate or price of the new work item. 24.4 If the Contractor’s quotation is found to be unreasonable, the Project Manager shall exercise his own judgement to fix the Unit rate (s). 25.1 The basis for payment certificates shall be BOQ used to determine the Contract price. 25.2 The Contractor shall submit to the Project Manager monthly statements of the estimated value of the works executed less the cumulative amount certified previously. 25.3 The Project Manager may in any payment certificate make any correction or modification that should properly be made to any previous payment certificate. 25.4 The Project Manager may withhold the cost of rectification or replacement until such rectification or replacement has been completed, if any thing supplied or work done by the Contractor is not in accordance with the Contract. 26.1 The Procuring Entity shall pay the Contractor in Bangladesh Taka currency, the amounts certified by the Project Manager after due adjustments. 27.2 If a Compensation Event would cause additional cost or would prevent the work being completed before the Intended Completion Date, the Contract price shall be increased and/or the Intended Completion Date shall be extended. 28.1 The Procuring Entity shall retain from each progressive payment due to the Contractor at the percentage specified in the PCC until completion of the whole of the Works under the Contract. 28.2 On completion of the whole of the Works, the first half the total amount retained under GCC Sub Clause 28.1 shall be repaid to the Contractor and the remaining second half after the Defects Liability Period has passed. 28.3 If the provision of Retention Money is not included in this Contract these Sub Clauses shall not apply except the relevant ones. 29.1 The Contractor shall be liable to pay Liquidated Damages or in other words the Delay Damages to the Procuring Entity at the rate per day as specified in the PCC for each day of delay from the Intended Completion Date, for the uncompleted Works or for any part thereof. 29.2 The total amount of Liquidated Damages shall not exceed the amount defined in the PCC. 29.3 Payment of Liquidated Damages by the Contractor shall not relieve the Contractor from its obligations. 30.1 The Performance Security furnished at the time of signing of the Contract Agreement, shall be substituted by a new Security covering fifty (50) percent of the amount of the Performance Security to cover the Defects Liability Period. (b) The Contractor has not paid an amount due to the Procuring Entity and the Procuring Entity has duly notified him or her. 30.3 In the event the Contractor is liable to pay compensation under the Contract amounting to the full value of the Performance Security or more, the Procuring Entity may call the full amount of the Performance Security. 30.4 If there is no reason to call the Performance Security, the Performance Security shall be discharged by the Procuring Entity and returned to the Contractor not later than twenty-eight (28) days after the Defects Liability Period has passed. 31.1 The Contractor shall apply by notice to the Project Manager for issuing a Completion Certificate of the Works, and the Project Manager shall do so upon deciding that the work is completed. (b) reject the application, giving reasons and specifying the work required to be done by the Contractor to enable the Completion Certificate to be issued. The Contractor shall then complete this work before issuing a further notice under this Sub Clause. 32.2 The Procuring Entity shall Take-Over the Site and the Works within fifteen (15) days of the Project Manager issuing a Completion Certificate under GCC Sub Clause 32.1 . 33.1 The amendment to Contract shall generally include extension of time to the Intended Completion Date, increase or decrease in original Contract price and any other changes acceptable under the conditions of the Contract. 34.1 The Contractor shall submit with a detailed account of the total amount that the Contractor considers payable under the Contract to the Project Manager before the end of the Defects Liability Period. 34.2 The Project Manager shall certify the Final Payment within thirty days (30) days of receiving the Contractor’s account if the payable amount claimed by the Contractor is correct and the corresponding works are completed. 34.3 If it is not, the Project Manager shall issue within thirty (30) days a Defects Liability Schedule under GCC Sub Clause 19.1 that states the scope of the corrections or additions that are necessary. 35.1 If any event or circumstance outside the control of the parties (including, but not limited to, Force Majeure) arises which makes it impossible or unlawful for either or both parties to fulfil its or their contractual obligations or which, under the law governing the Contract, entitles the parties to be released from further performance of the Contract, then upon notice by either party to the other party of such event or circumstance:(a) the parties shall be discharged from further performance, without prejudice to the rights of either party in respect of any previous breach of the Contract. 36.1 Termination for Default(a) The Procuring Entity or the Contractor, without prejudice to any other remedy for breach of Contract, by giving twenty eight (28) days written notice of default to the other party, may terminate the Contract in whole or in part if the other party causes a fundamental breach of Contract. (v) the Contractor, in the judgment of the Procuring Entity has engaged in corrupt or fraudulent practices as defined in GCC Clause 2, in competing for or in executing the Contract. 37.1 If the Contract is terminated because of a fundamental breach of Contract under GCC Sub Clause 36.1.1 by the Contractor, the Project Manager shall issue a certificate for the value of the Works done and Plant and Materials ordered less advance payments received up to the date of the issue of the certificate and less the amount from percentage to apply to the contract value of the works not completed, as indicated in the PCC. 38.1 All Materials on the Site, Plant, Equipment, Temporary Works, and Works shall be deemed to be the property of the Procuring Entity if the Contract is terminated because of the Contractor’s default. .
39.1 Amicable settlementThe procuring Entity and the Contractor shall use their best efforts to settle amicably all possible disputes arising out of or in connection with this Contract or its interpretation. 39.2 Arbitration(a) If the parties are unable to reach a settlement as per GCC Clause 39.1 within twenty-eight (28) days of the first written correspondence on the matter of disagreement, then either party may give notice to the other party of its intention to commence arbitration. (b) The arbitration shall be conducted in accordance with the Arbitration Act (Act No 1 of 2001) of Bangladesh as at present in force and in the place shown in the PCC. Instructions for completing the Particular Conditions of Contract are provided in italics in parenthesis for the relevant GCC Clauses. The Defects Liability Period is [state months][usually Defect Liability Period is twelve (12) months to cover at least one complete monsoon season]. The proportion of payments to be retained is [insert percent] percent. [state “none’ if not applicable. If applicable then the proportion of Retention Money shall be equal to the percentage-shortfall of ten (10) percent of Performance Security determined at the time of signing the Contract. VUW = Value of Uncompleted Works (i.e. works not having been completed as of the expiry of the Intended Completion Date plus the works completed after the expiry of the Intended Completion Date). VUW shall be calculated by deducting the value of the completed works under the Contract from the total Contract price. P = Percent-rate at which the Liquidated Damages shall be imposed for every day of delay of the final Contract price of the uncompleted Works or any part there of. The percentage to apply to the contract value of the works not completed, representing the Procuring Entity’s additional cost for completing the uncompleted Works, is [state percentage] percent. Forms PW2-4 to PW-6 comprises part of the Contract as stated in GCC Clause 3. In order to confirm the above statements the Tenderer shall submit , as applicable, the documents mentioned in ITT Sub Clause 15.1(a), (b) & (c). We have been informed that [name of Tenderer] (hereinafter called “the Tenderer”) intends to submit to you its Tender dated [date of Tender] (hereinafter called “the Tender”) for the execution of the Works of [description of works] under the above Invitation for Tenders (hereinafter called “the IFT”). Furthermore, we understand that, according to your conditions, the Tender must be supported by a Bank Guarantee for Tender Security. did not accept the correction of the Tender price following the correction of the arithmetic errors as stated under ITT. (b) if the Tenderer is not the successful Tenderer, twenty eight (28) days after the expiration of the Tenderer’s Tender validity period, being [date of expiration of the Tender validity plus twenty eight (28) days ]. This is to notify you that your Tender dated [insert date] for the execution of the Works for [name of project/Contract] for the Contract Price of Tk [state amount in figures and in words], as corrected and modified in accordance with the Instructions to Tenderers, has been approved by [name of Procuring Entity]. You may proceed with the execution of the Works only upon completion of the above tasks. You may also please note that this Notification of Award shall constitute the formation of this Contract which shall become binding upon you. We attach the draft Contract and all other documents for your perusal and signature. WHEREAS the Procuring Entity invited Tenders for certain works, viz, [brief description of works] and has accepted a Tender by the Contractor for the execution of those works in the sum of Taka [Contract price in figures and in words] (hereinafter called “the Contract Price”). 1. In this Agreement words and expressions shall have the same meanings as are respectively assigned to them in the General Conditions of Contract hereafter referred to. 3. In consideration of the payments to be made by the Procuring Entity to the Contractor as hereinafter mentioned, the Contractor hereby covenants with the Procuring Entity to execute and complete the works and to remedy any defects therein in conformity in all respects with the provisions of the Contract. 4. The Procuring Entity hereby covenants to pay the Contractor in consideration of the execution and completion of the works and the remedying of defects therein, the Contract Price or such other sum as may become payable under the provisions of the Contract at the times and in the manner prescribed by the Contract. IN WITNESS whereof the parties hereto have caused this Agreement to be executed in accordance with the laws of Bangladesh on the day, month and year first written above. We have been informed that [name of Contractor] (hereinafter called “the Contractor”) has undertaken, pursuant to Contract No [insert reference number of Contract] dated [insert date of Contract] (hereinafter called “the Contract”), the execution of works [description of works] under the Contract. Furthermore, we understand that, according to your conditions, the Contract must be supported by a Bank Guarantee for Performance Security. At the request of the Contractor, we [name of bank] hereby irrevocably undertake to pay you, without cavil or argument, any sum or sums not exceeding in total an amount of Tk [insert amount in figures and in words] upon receipt by us of your first written demand accompanied by a written statement that the Contractor is in breach of its obligation(s) under the Contract conditions, without you needing to prove or show grounds or reasons for your demand of the sum specified therein. This guarantee is valid until [date of validity of guarantee], consequently, we must receive at the above-mentioned office any demand for payment under this guarantee on or before that date. (b) when a Contract has been entered into, to provide a priced BOQ for use in the periodic valuation of Works executed. (c) a separate item for tests that may be required to be carried out to ensure the quality of materials and works. In order to attain these objectives, the items in the Bill of Quantities should be grouped into sections to distinguish between those parts of the Works that by nature, location, access, timing, or any other special characteristics may give rise to different methods of construction, phasing of the Works, or considerations of cost. General items common to all parts of the Works may be grouped as a separate section in the Bill of Quantities. Consistent with these requirements, the layout and content of the BOQ should be as simple and brief as possible. Quantities should be computed net from the Drawings, unless directed otherwise in the Contract, and no allowance should be made for bulking, shrinkage, or waste. Quantities should be rounded up or down where appropriate and spurious accuracy should be avoided. The quantities given in the Bill of Quantities are estimated and provisional, and are given to provide a common basis for Tendering. The basis of payment will be the actual quantities of work ordered and carried out, as measured by the Contractor and verified by the Project Manager and valued at the rates or prices quoted in the priced Bill of Quantities, where applicable, and otherwise at such rates or prices as the Project Manager may fix within the terms and conditions of the Contract. The method of measurements of completed works for payment shall be based on metric system unless otherwise unavoidable. A sample format has been suggested. If in preparing Bill of Quantities of its Tender, the Tenderer has made errors in the unit rates or prices or the total price, and wishes to correct such errors prior to submission of its Tender, it may do so, but shall ensure that each correction of error is properly initialled by the authorised person of the Tenderer and that a statement shall be made as to the total number of such corrections made, at the end of the priced Bill of Quantities. The Procuring Entity shall ensure that the following note is added at the end of each page of the Bill of Quantities. “This Bill of Quantities contains [state number] corrections duly initialled and signed by the authorised person of the Tenderer”. A set of precise and clear specifications is a prerequisite for Tenderers to respond realistically and competitively to the requirements of the Procuring Entity without introducing deviations or conditionalities in their Tenders. In the context of national competitive Tendering, the specifications must be drafted to permit the widest possible competition and, at the same time, present a clear statement of the required standards of workmanship, materials, and performance of the works to be procured. Only if this is done will the objectives of economy, efficiency, and fairness in procurement be realized, responsiveness of Tenders be ensured, and the subsequent task of Tender evaluation facilitated. The specifications should require that all goods and materials to be incorporated in the Works be new, unused, of the most recent or current models, and incorporate all recent improvements in design and materials, unless provided otherwise in the Contract. Samples of specifications from previous similar projects are useful in this respect. Most specifications are normally written specially by the Procuring Entity or Project Manager to suit the Contract Works in hand. There is no standard set of Specifications for universal application in all sectors, but there are established principles and practices, which are reflected in these documents. Care must be taken in drafting specifications to ensure that they are not restrictive. In the specification of standards for goods, materials, and workmanship, recognized national standards should be used as much as possible. Where other particular standards are used the specifications should state that goods, materials, and workmanship that meet other authoritative standards, and which ensure substantially equal or higher quality than the standards mentioned, will also be acceptable. Provision as such be kept that wherever reference is made in the Contract to specific standards and codes to be met by the goods and materials to be furnished, and work performed or tested, the provisions of the latest current edition or revision of the relevant standards and codes in effect shall apply, unless otherwise expressly stated in the Contract. THESE NOTES FOR PREPARING SPECIFICATIONS ARE INTENDED ONLY AS INFORMATION FOR THE PROCURING ENTITY OR THE PERSON DRAFTING THE TENDER DOCUMENT AND SHOULD NOT BE INCLUDED IN THE FINAL TENDER DOCUMENT. If an item of the Works is not covered in the General Specifications or if any specification clause requires that further details as to precise requirements for the particular Works are to be given or needs to be modified or clarified then these should be reflected in the Particular Specifications. Where the Particular Specification clause replaces or clarifies an existing clause of the General Specification then the same clause numbering system need to be followed. Insert here a list of Drawings. The actual Drawings, including site plans, should be attached to this section or annexed in a separate folder. The Drawings shall be dated, numbered and show the revision number. The Invitation for Tenders (IFT) is a copy of the standard format as appears on the website and used for published advertisement that provides relevant and essential information to help Tenderers to decide whether or not to participate in the particular Tender. This is provided in the Tender Document for information only. This should not be included in the FINAL DOCUMENT. This is the website format and as used for published advertisement. <select> : these fields are “pop-up” fields and the procuring entity will only have to select the correct name, address or date in order to complete the form. <type in name> : these fields are to be completed by typing in the relevant data.